In December 1942, the first of the final production series of the StuG III - the Ausf G - rolled off the production line in Germany. When production ceased in March 1945, a total of 7720 had been built. The hull of the Ausf G was not radically different from previous models, the main changes being to the superstructure. A cupola with periscopes was added for the commander, while a shield for the machine gun was installed in front of the loader’s hatch. The superstructure incorporated slanted sides, with the addition of slanted plates to protect the front of both panniers. 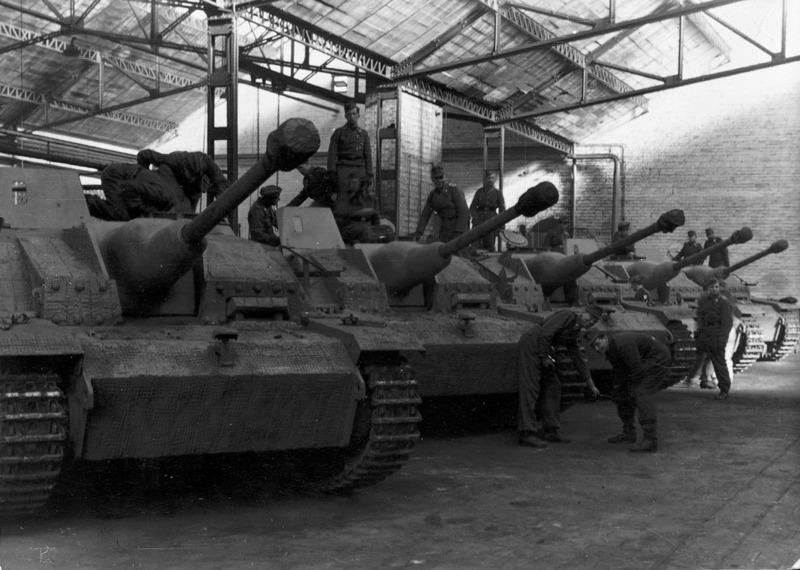 During the production run other changes were incorporated, such as the introduction of the “sow’s head” (Saukopf) gun mantlet for the StuK40 L/48 gun, a coaxial machine gun in early 1944, a close-in defence weapon, and a remote-controlled machine gun to the superstructure roof in the spring of 1944. By mid-1943, there were 28 independent StuG detachments, four divisional StuG detachments, two radio-controlled companies, and 12 StuG platoons, all ready for the Kursk Offensive in July. Later, the StuGs were distributed among panzer and antitank units. The illustration above shows an Ausf G fitted with a Saukopf gun mantlet and the machine-gun shield in front of the loader’s hatch.